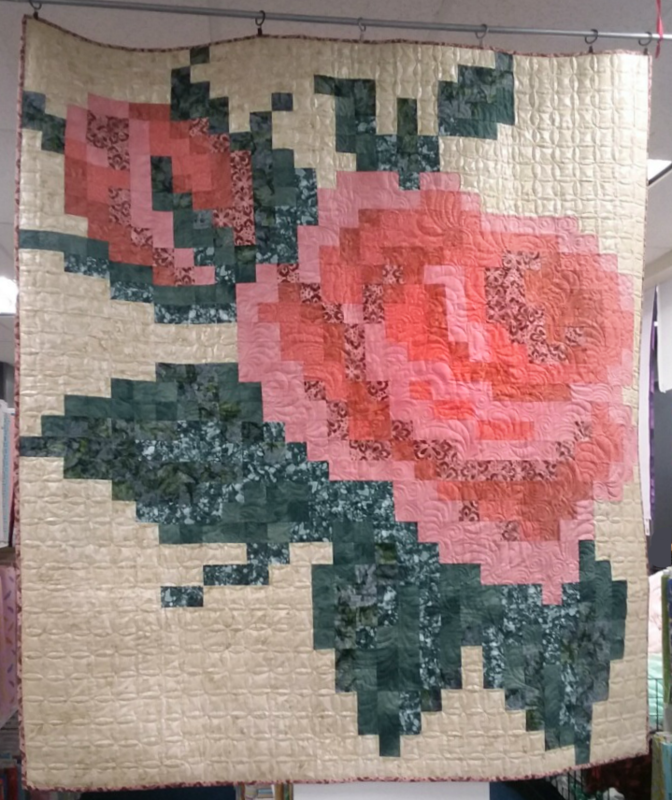 A large image formed on a quilt by turning squares of fabric into a stunning rose picture. There are several patterns to choose from. The teacher will help you every step of the way. GO Cutter friendly. Quilt measures 61 x 73.